Barry M have been a favourite make-up brand of mine for years. Not only do they have great quality products but their prices are always fantasticly affordable too! From lip colours to nail polishes I have raved about Barry M since I was a teen and whenever I hear of a new collection or a new product being released I am always itching to get my hands on them! Queue the new Barry M Gelly Hi Shine Lips. 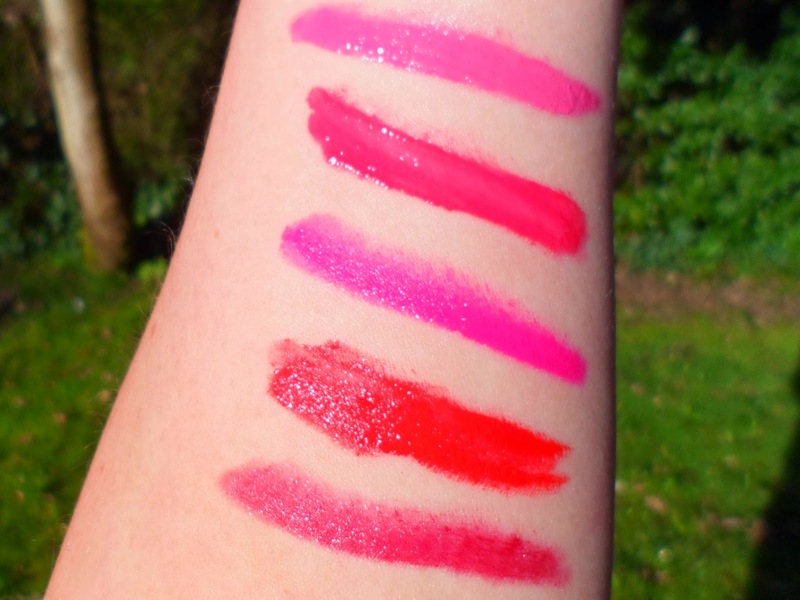 Yes, Barry M have graced us with another great lip product in a fab range of colours! I can't express enough how much I love their lipstick and lipgloss collections so to see a new lip product come from this brand had me very excited! Believe it or not I don't own a wide range of lip 'crayons' - in fact the only ones in my collection are from the Fearne Cotton collection that Boots have at Christmas. Saying that I LOVE them and have no idea how it has taken me this long to try out more versions, especially when there are SO many out there on the market! There are 5 shades in the collection ... so obviously I had to buy 5! 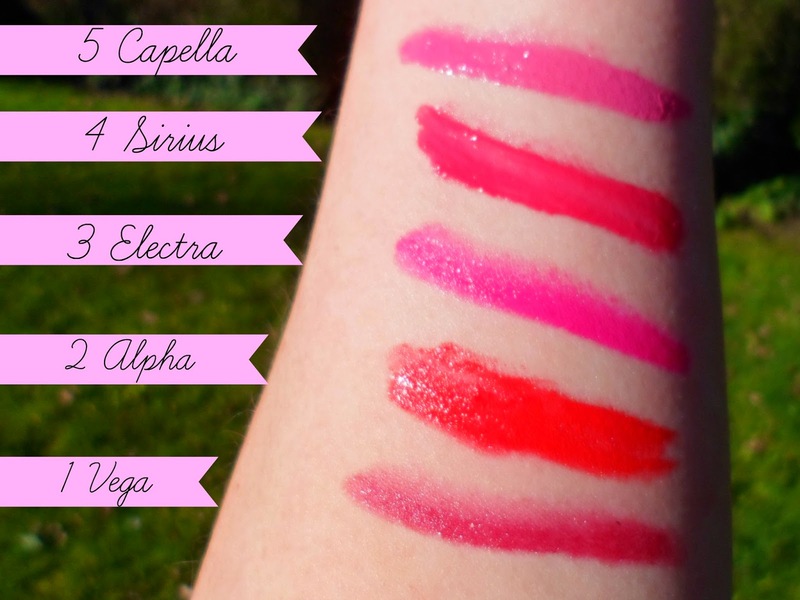 They range from a gorgeous dark plum right down to a baby dusty pink and I love each and every one of them! These Gelly lips are gorgeous! Hi shine is the name and hi shine is what they give! I love how glossy these are as well as having great bold coour which lasts! I feel like the scent varies with each shade some smell like a boring old product and some have a little fruity undertone which is so much nicer! They are lovely and creamy and actually do feel slightly "gelly" like - great quality just like the gelly nail paints! Now I had one little problem with these.... when I decided to do a nice swatch on my arm for you girls and boys - Shade 2 decided to brake! The top of the product full on just slid off which I was not impressed with although I'm not sure weather it was my fault for pressing a little too hard or weather I just had a dodgey one! Safe to say it is in the fridge now and I'm hoping I can mould it back together - it seems fixable! This I have to say made me even more upset because shade 2 -Alpha is probably my favourite of the bunch! It is such a fab orangey red bright shade, completely different from the others and so gorgeous for summer! These products do look good but I would rather spend a little more and buy the Revlon or Rimmel Lip Balms. Great review though. Do you sharpen these or do you twist them to get more product??? ?